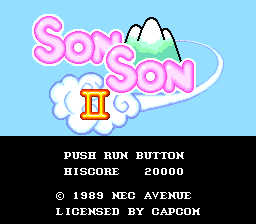 SonSon II is an action platformer for the Turbografx-16. All this is Sgt. 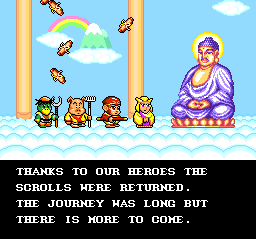 Bow Hack’s translation with the last bit of untranslated text at the end of the game now translated. All credit for the translation of the Japanese text goes to the original team and AgentSAMa.